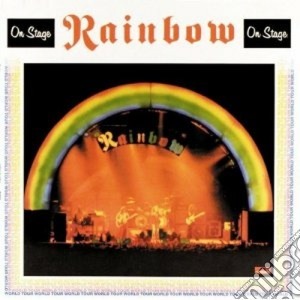 RAINBOW ON STAGE, LIVE ! UN GRANDE LIVE DEI RAINBOW, NELLA LORO PRIMA STREPITOSA FORMAZIONE . TRA I BRANI CI SONO COVER DI PEZZI DEI DEEP PURPLE E DEI YARDBIRDS ( GRUPPO IN CUI HA MILITATO ERIC CLAPTON ), UN VERO ESEMPIO DI MAESTRIA .